Matica´s new XL8300 is an innovative retransfer printer, that specializes in printing exceptionally high quality oversized cards for the event management industry, and is capable of printing up to 128 cards per hour and like the rest of the XID Series 8 family it retains high quality print production. Corporate environments may need wide format cards where access control requires immediate personal identification. The XL8300 retransfer technology can print text, logos and images in UV ink and prints efficiently on a range of card materials including PVC, ABS and PET so its flexibility surpasses the market´s alternative solutions. 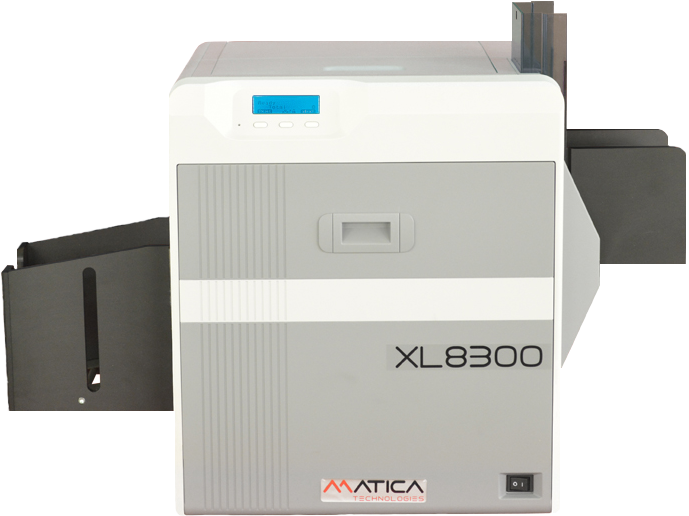 Matica XL8300 comes standard with USB and Ethernet. Matica XL8300 prints on oversized PVC Cards. Only the XL8300 can print onto over sized cards (3.37″ x 4.88), each card has 2 printable areas that can easily be customized for perfect badges. The print engine is based on a metal frame chassis, hence it is a very solid and precise printing module. The compact and attractive design make the XL8300 fit into any office environment and offers an outstanding price-value performance. 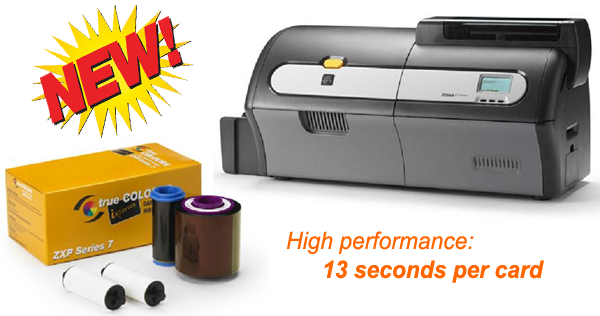 As all retransfer printers from Matica Technologies, the XL8300 comes with a life time warranty for the print head when using the proper consumables from Matica. For more information about the XL8300 and the PVC card printer price please contact our offices. Matica XL8300 Retransfer Card Printers come with a global 2 years warranty. Unicard will support all your Matica XL8300 spare parts and servicing.